Hey guys! I’m back from San Diego Comic Con with the nerdgams in my pants to prove it. We did our ritual urban camping to get into those juicy exclusives lines (Hasbro, Bandai, Funko, Lego, Mattel, et.al. ), and Hall H for the Game of Thrones, The Walking Dead, and 20 Years of South Park panels, attended not one but TWO live tapings of Conan O’Brien (and got those limited edition POP! figures that are currently selling for a fortune on eBay), and just had an overall incredible time. So that’s that. Now, on to business. 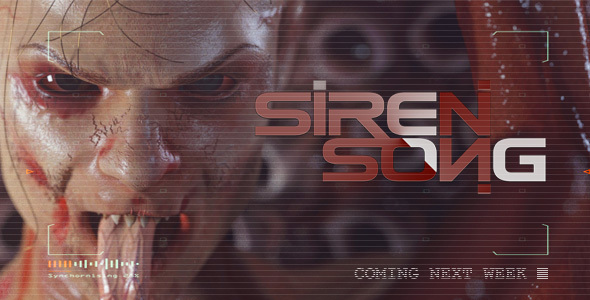 Here’s some promotional artwork for Dossier 011: Siren Song, which is coming mid- to late-July. As a few of you surmised based on the teaser image in the slider, this dossier will indeed feature the triumphant return of one of the U.P.A.’s finest… Ember Riley! In this dossier, Ember and team are doing recon on a near-inhospitable desert planet when her fighter’s (the U.P.A. FC-320SI “Siren”) systems fail, and she goes down. After crash landing, she recovers part of her gear and fires up a distress beacon, but soon begins to succumb to the intense heat of the planet. She finds shelter in a nearby abandoned research facility, but it turns out that protection from the heat is not the only thing this place has to offer. Hope you enjoy this promo piece from the upcoming project. Still a lot to be done, but it will definitely be out this month. Let me know what you think of this newest set in the comments below!